My Christmas cart is filled, but I haven't glued anything in yet :) And even though it's past Christmas, I thought I'd share it with you. I think I will wait until next year to glue or use tacky wax. One of my favorite ebay purchases was this little Christmas caroler. (Because, even though I have boxes of Christmas minis, I still looked on eBay). 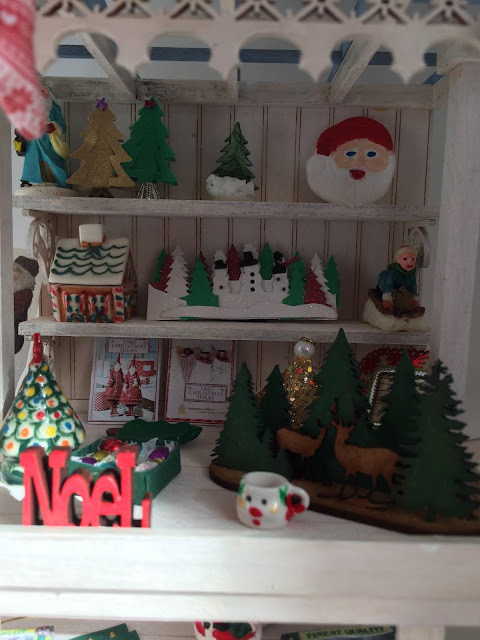 On the middle shelf is a paper snowman and tree scene that I made at my Big Apple Miniaturists Club in a class taught by Ginger Landon Siegel.. I also painted that Santa plate and made the tree decorations. Here's an earlier version of the ArtofMini deer in forest scene - before I added snow. There was enough snow left over from the true2scale gingerbread kit that I used that to add snow to this kit. I used white fabric paint to streak the trees. 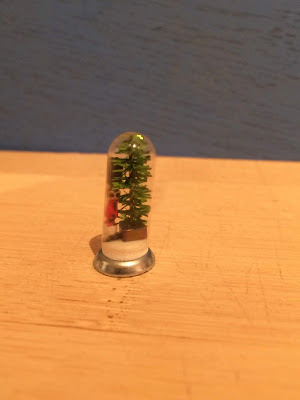 And then in the Big Apple Miniaturists club meeting in January, we made this little matchbox soldier out of the head of a toothpick, sitting in pill capsule. s lovely decorations, especially the cute little caroler. The tiny soldier in the pill capsule is stunning!! I wasn't sure I could paint the top of a toothpick! He came out much better than I expected. Hi Penelope! 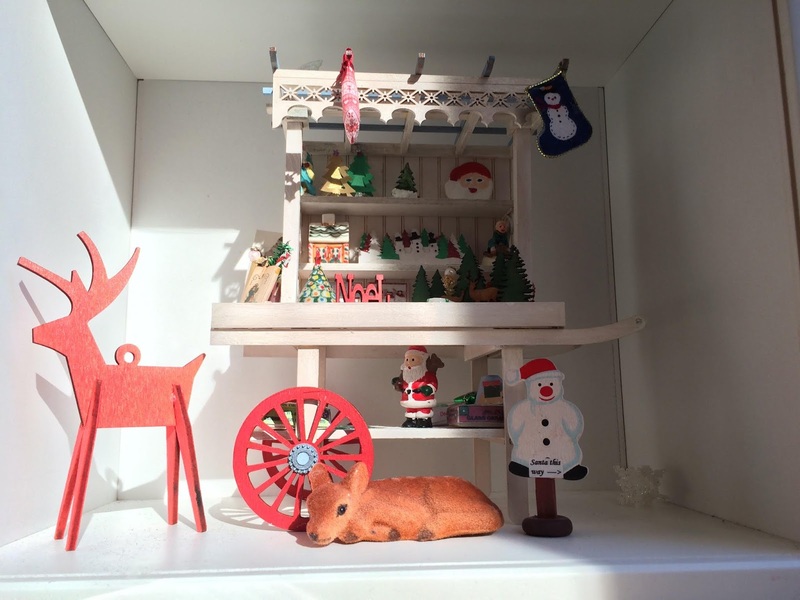 Your cart is just adorable and I love how each of the little accents were made by you or have a story! You can never have enough Christmas minis, so I hope you continue to enjoy making things and sharing them throughout the year! You're going to have an amazing scene for Christmas in 2019! I firmly believe you can never have enough Christmas minis! I love your Christmas house! I should probably continue making them throughout the year as once December hits, I'm so busy with RL Xmas. I love that paper tree and snowman scene! Everything is so cheerful and bright. Just looking at it makes me happy. Yes, the paper tree and snowman scene is just layered paper. It was really easy to put together and I am so happy with how it came out. Muchas gracias! La cápsula me sorprende! Es tan pequeño. 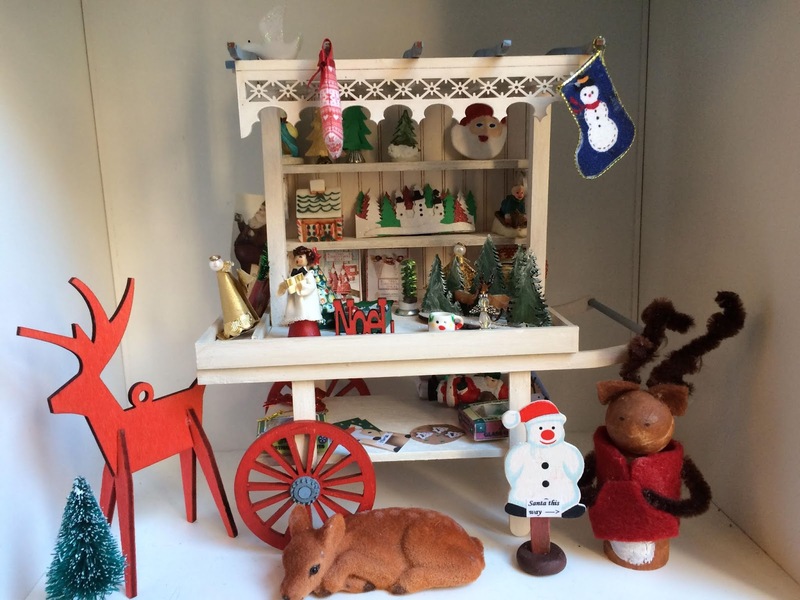 The Christmas cart looks adorable! 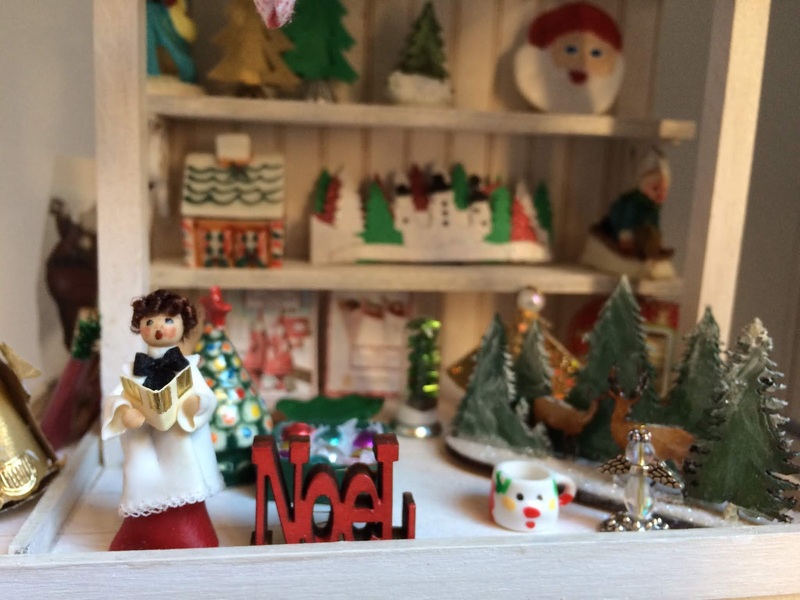 Love the caroler also and the little cup!! Some nice things you made here! !